It’s official I’ve got a new girl crush. Bella Hadid. Unless you’ve been living on the moon, or my husband, you’ll know who she is. Sister to Gigi Hadid and 2016 model of the year. Since then she has walked for everyone, She’s a Victoria Secrets Angel, she owned the catwalk for everyone from CHANEL to Zadig & Voltaire. She’s the face of TagHeure and Bulgari Accessories. 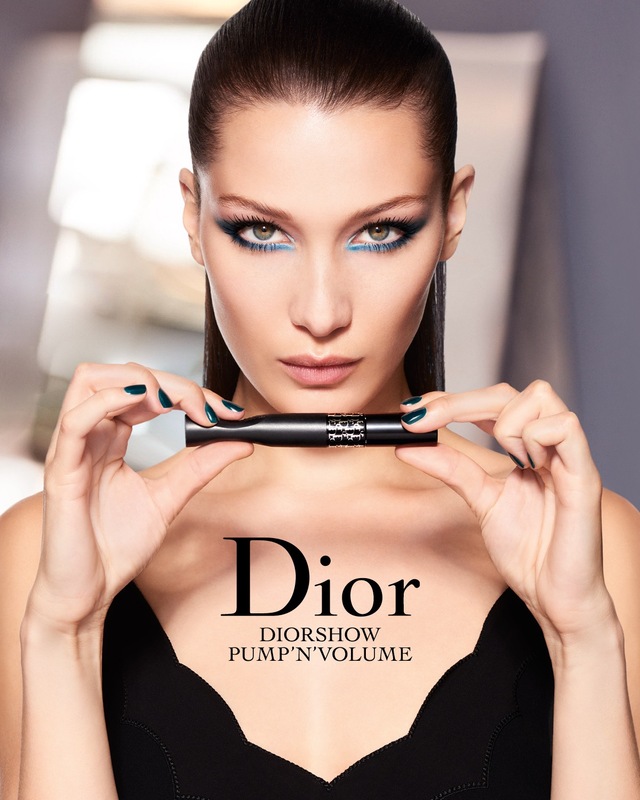 And the new muse of Peter Philips, Creative and Image Director of Dior Makeup. But despite all this what I love about Bella is her unassuming nature. She’s actually just a girl loving life and delighted to be doing what’s she’s doing. 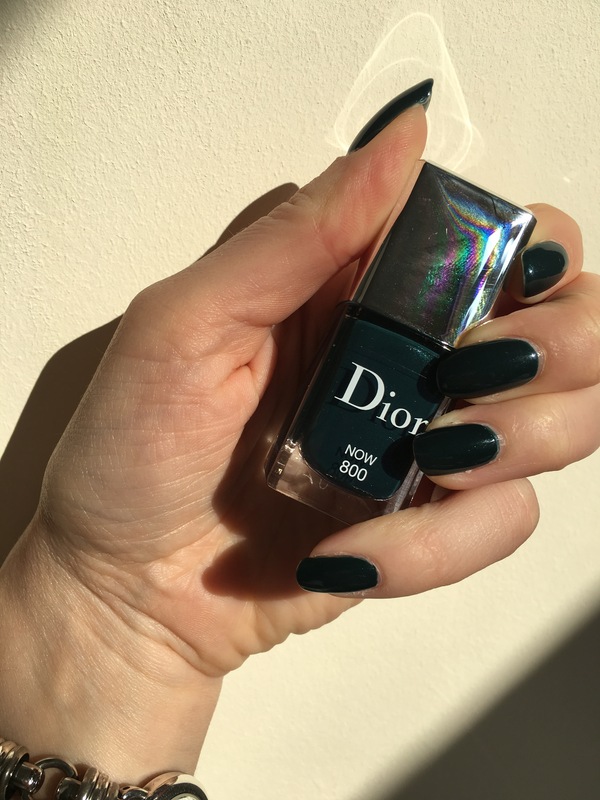 Today she is the face of Dior’s new makeup campaign and as soon as I saw her nail shade I had to recreate it. The shade Dior Now. 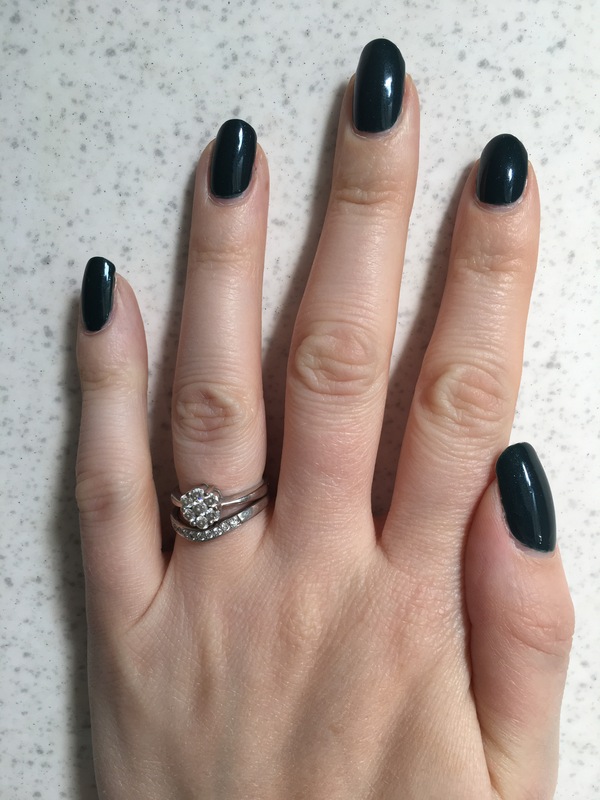 A rich yet summery deep green that I believe could be a classic in the making. It’s very Bella, the girl of Now and very much the shade of Now. The rich green has a hidden shimmering quality. No glitter, just something mysterious and intriguing. The application is fluid and the Gel formula gives a smooth application. The fan brush coats evenly from root to tip. 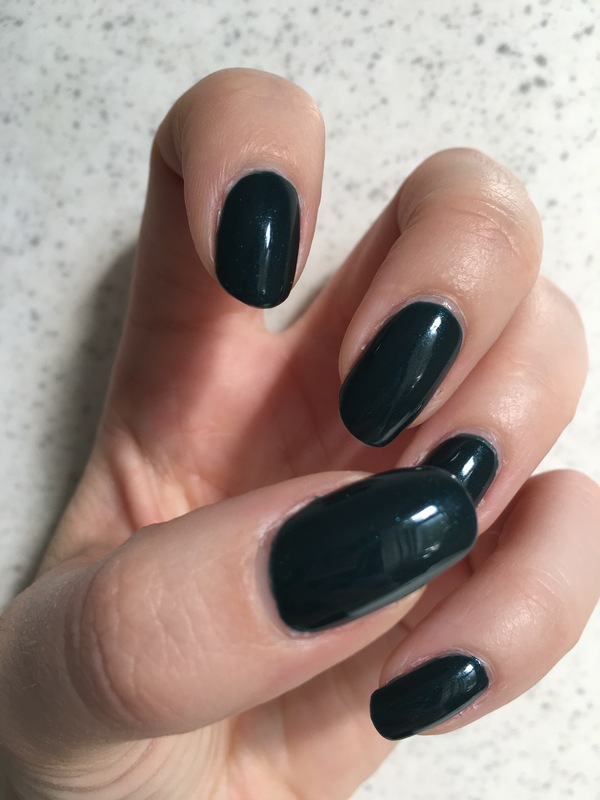 Two coats gives you the opacity of a gel manicure. 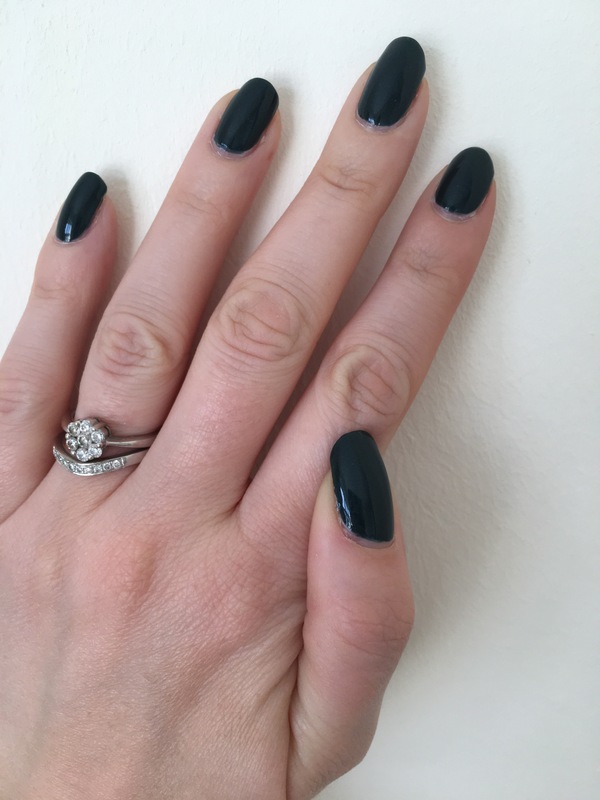 Topped with Dior Gel Top Coat which I have to say kept the manicure in place until Thursday when I found a big chip in a nail. It’s not as good as my trusted Seche Vite but it’s not bad at all. 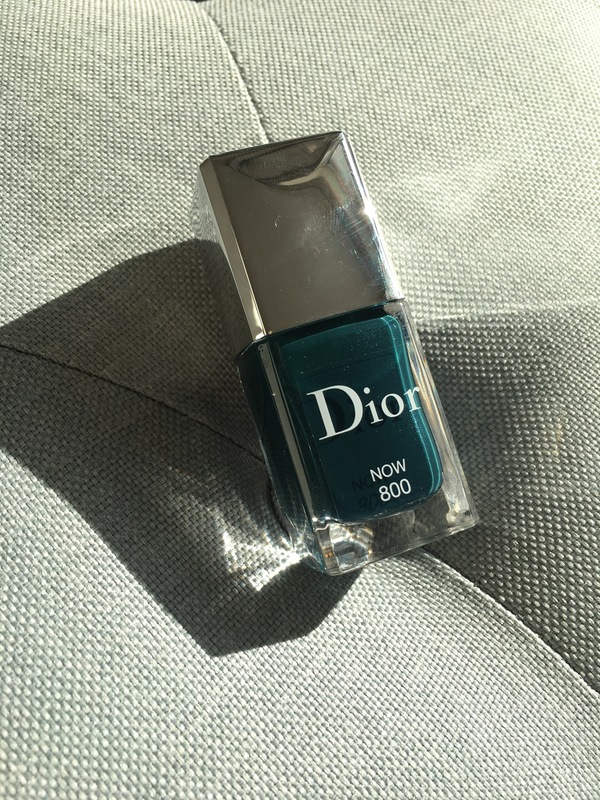 So do you fancy Dior Now?